This week three more movies are releasing in Nepali movie theaters. 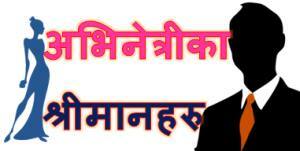 Noted director Tulsi Ghimire’s ‘Dristikon’ is one of the most waited cinema releasing this week. Other two include a movie named after a musical band ‘Nepatya’ and ‘Supari’. The only well known actress to be featured in the theaters this week is Jharana Thapa in ‘Supari’. Other two movie are featuring new faces with Sona Timilsina in ‘Nepathya’ and Himani DC and Mamata Gajamer in ‘Dritikod’. Tulsi’s wife Bharati Ghimire is also featured in the movie. Although Jharana’s daughter is old enough to lead in movies, Jharana has managed to maintain herself to be featured as a college girl in movies. Jharana is enjoying steady release of movies. Last week’s new release ‘Dil’ had Jharana in leading role. Item girl and Actress of Nepali movie industry Sushma Karki is also featured in an item song of ‘Nepathya’. The fate of the new actresses debuting in two movies will be known after the success (or failure) of the movies. The actress Sona Timilsina is a Australia resident Nepali actress. Although she has done acting in various TV serials and advertisements, ‘Nepathya’ is her first feature film. 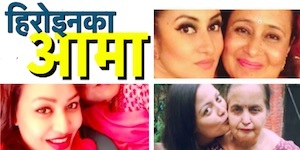 Nepaliactress.com wishes best wishes to all the new movies and actresses featured in the movies. 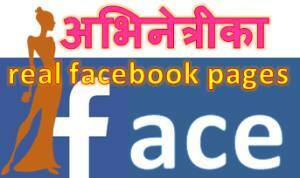 This entry was posted in Friday Feature and tagged Sona Timilsina, Sushma Karki, Tulsi Ghimire. Bookmark the permalink.